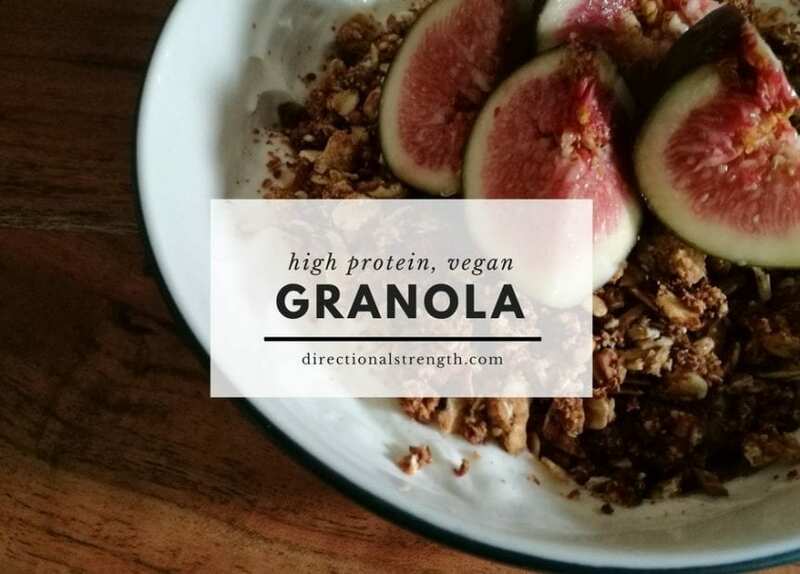 Because granola is traditionally made by taking oats, seeds and other grains and cooking it with a lot of sugar and a lot of oil. It’s still high in carbs as granola will always be, but it’s neither packed with sugar nor oil. And now, it’s high protein and vegan, too. In a large bowl, combine all of the above ingredients with about 1/4 cup of water. Using clean hands, mix everything through to make a very dry dough-like consistency. Use your fist to clench the dough and then sqeeze to make large clumps. Do this for about 2-3 minutes to combine everything into clusters. Spread out on a baking tray lined with paper and bake for 30 minutes. After about 20 minutes, shake the tray and then return to the oven to make sure the clusters bake evenly.